“Hometown Memories” is an art show that can be viewed at”The Grand” in Ellsworth until August 28th. 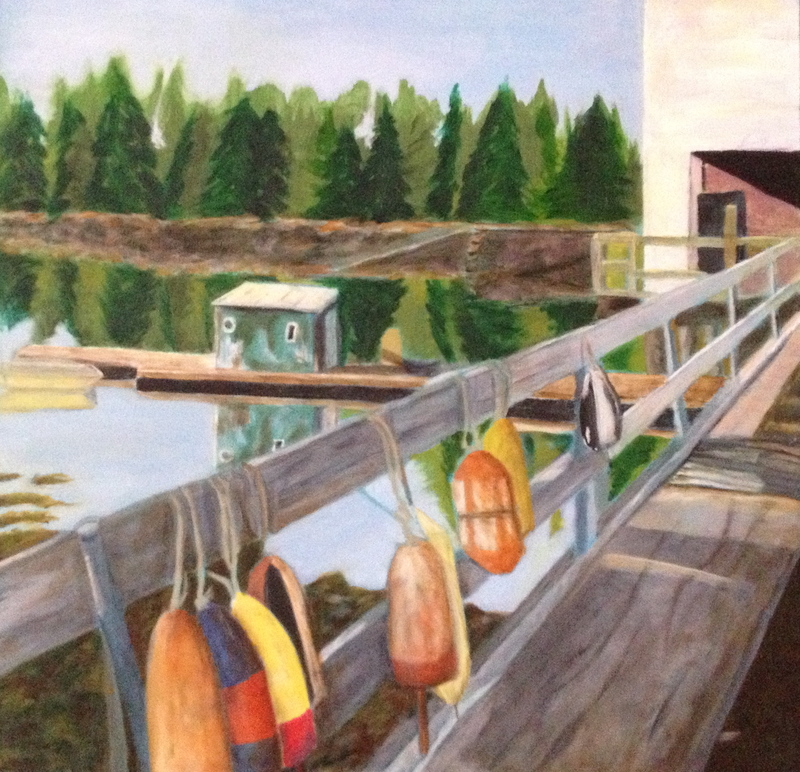 This painting of the Winter Harbor Co-Op is one of 13 works. This group contains oils and acrylics and have been produced during the past couple of years.